Based on 817 customer ratings. There’s no need to drive to Chicago to get the best deep dish pizza in the world! Visit our Matteson dining room or patio and enjoy a drink from our full bar, or ask for delivery or pickup. 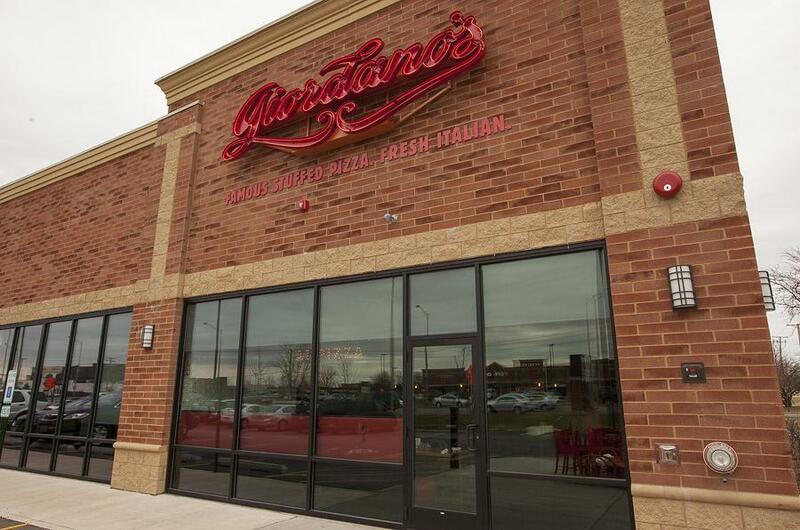 When only the best Chicago-style pizza will do, come to Matteson’s own Giordano’s! We have earned a reputation as the best pizza place in the Chicago area because we have a 40-year tradition backed by old-world heritage and outstanding craftsmanship. You’ll love coming to Giordano’s because we’re an experience to be cherished — not just another mediocre pizza joint. What better way to top off an afternoon at Kidswork’s or Fun World than at Giordano’s? Pizza Artisans Doing What They Do Best Order any “regular” pizza and you’ll get a hastily assembled and fried pie made with average ingredients and average skill. Order a Giordano’s stuffed pizza pie and you’ll experience a taste sensation that only our carefully trained pizza artisans can create. Our cheese is made only for us on a small Wisconsin farm. Our tomatoes and toppings are the freshest, reddest and ripest. And what about our famous, flaky double crust? We bake it to slow, pie-like perfection. Once you taste it, you’ll know why we’re the best pizza delivery in Matteson. Giordano’s is famous for pizza but don’t overlook our main menu! We have flavorful pastas, crisp salads, zesty appetizers and savory Italian sandwiches that will have your mouth watering. Need gluten-free choices? We have them as well!